International kicker Richie Leone is moving on to four-down football. The B.C. Lions announced on Tuesday that they have granted Leone early free agent status enabling him to sign with an NFL Club and according to TSN CFL Insider Farhan Lalji, the Arizona Cardinals will be where he lands. The 24-year-old will sign as a punter on Wednesday after fielding both punting and kicking duties for the Lions and will receive a significant signing bonus. “We thank Richie for his contributions to our team over the past two years. He brought excitement to our kicking game and we wish him the very best in his future football endeavors,” said GM and head coach Wally Buono in a release. Leone spent the last two seasons in B.C. 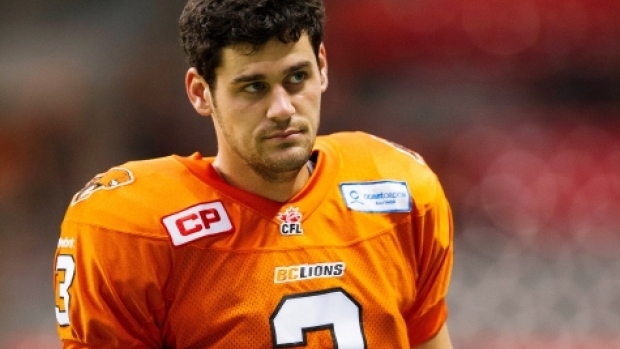 after finishing his career at the University of Houston, and was named a CFL all-star twice leading the league in punting average both seasons among qualified kickers.